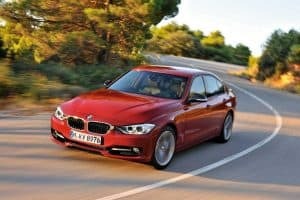 BMW’s 3 Series has been named the most reliable company car for the eighth year running after topping Fleet News’ annual FN50 car reliability survey yet again. The list ranks the reliability index of 700,000 cars operated by companies in the magazine’s FN50 list, which names the 50 biggest contract hire providers. In another long-running success for BMW, the German brand also won the best manufacturer title, just as it did in 2016 and 2015. An all-new 3 Series is scheduled to launch in 2018, but the current model has been an ongoing success since its introduction in 2011. Aside from the 3 Series, other high performing cars in Fleet News’ survey were the Volkswagen Golf – facelifted earlier this year – in second place and the Audi A3 in third, rising one spot from last year. The next three cars also climbed one place with the Honda Civic budging up to fourth, the BMW 5 Series rather aptly in fifth, and the Volkswagen Passat in sixth. The top ten was completed by the Skoda Octavia in seventh, Nissan Qashqai (eighth), Audi A4 (ninth, down from third last year) and new entry Mercedes-Benz E-Class in tenth. One fleet favourite – the Mercedes C-Class – slipped from eighth last year to 14th in this survey, however it could barge back into the top ten in 2018 when a new model arrives in showrooms. Meanwhile, the Spanish-built Ford Fiesta – Britain’s best selling car – sat just outside the top ten. Each of the top ten cars comes from an either German or Japanese-owned brand, although the Qashqai and Civic are actually produced in Britain (Sunderland and Swindon). BMW was deemed to be the most dependable car brand in the FN50 car reliability survey and the top four places remained unchanged from last year with Audi in second, Mercedes third and Volkswagen fourth. Ford shot up from ninth to fifth, while Honda managed a decent jump from eighth to sixth. Nissan slipped one place to seventh, and the honchos at Toyota will be disappointed at dropping from fifth to eighth. Vauxhall stayed in ninth while Skoda dropped three spots to tenth.